Since 2005, Heavens Portfolio has been a representative of the world’s most unique travel experiences. Catering to discerning travellers, our aim is to offer experiences that unveil the mysteries of foreign lands whilst allowing them to indulge in the utmost luxury and services. 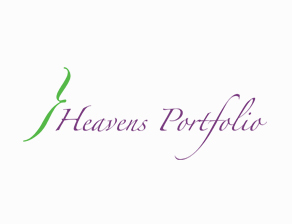 With offices in Hong Kong, Macau, China, Taiwan, Mumbai, Delhi, Jakarta, Bangkok, Vietnam and Singapore, Heavens Portfolio is an active sales, public relations and marketing representative company, with an elite clientele of award winning properties and travel products. We invite you to discover our stunning portfolio sure to enliven the soul. Our Clients：Amatara Wellness Resort, Armani Hotel Milano&Armani Hotel Dubai, Baccarat New York, Badrutt’s Palace Hotel, Baur au Lac, Beau-Rivage Palace, Nescens Clinique de Genolier, Belmond, Myconian Collection, Cheval Blanc, Chiva-Som International Health Resort, COMO Hotel and Resorts, Conservatorium Hotel, David Citadel Hotel, Hotel Café Royal, Iniala Beach House, Royal Mansour Marrakech, Taj Dubai, Laucala Island, Mamilla Hotel, Montigo, Oberoi Hotels & Resorts, Oetker Collection, Hakuba Hotel Group Chalets, Shiki Niseko,Sangha by Octave, The Farm at San Benito, RUSMICE, St.Regis Moscow, Treetops Lodge&Estate, The Kinloch Club, Samujana, Trisara, Pimalai Resort & Spa, Dubai Parks & Resorts and Virgin Limited Edition,Capella Hotel Group Worldwide,Amaze by Neon,Ariana Lodge, JT Camp.